The holo is more intense in these in person than it appears in my photos. 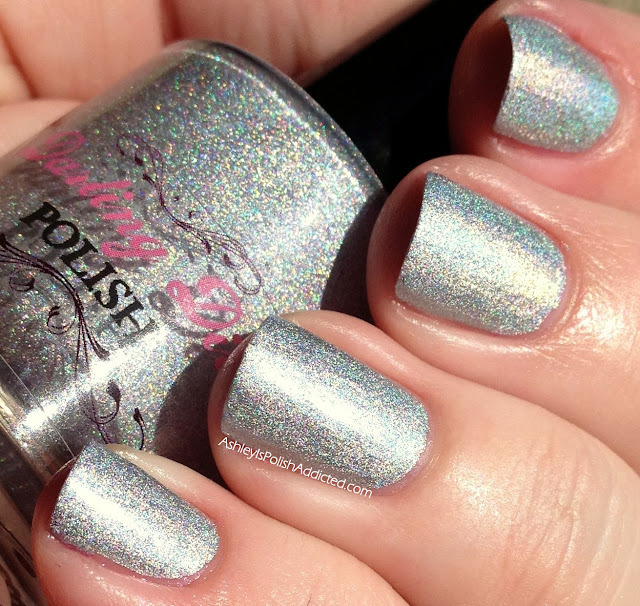 Diamond is a silver linear holo that shows off all of the colors of the holographic rainbow perfectly. Two light coats. 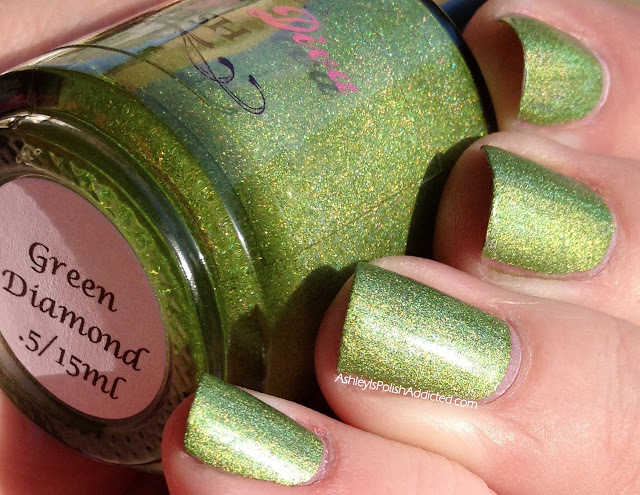 Green Diamond is a bright green (almost lime green). This is so bright and cheery! One coat for the photos. Chocolate Diamond is a light silvery brown that is perfect all year long, but I can see it being a favorite for Fall and Winter. This is one of my favorites from the collection, it's so rich and creamy. One coat for the photos. 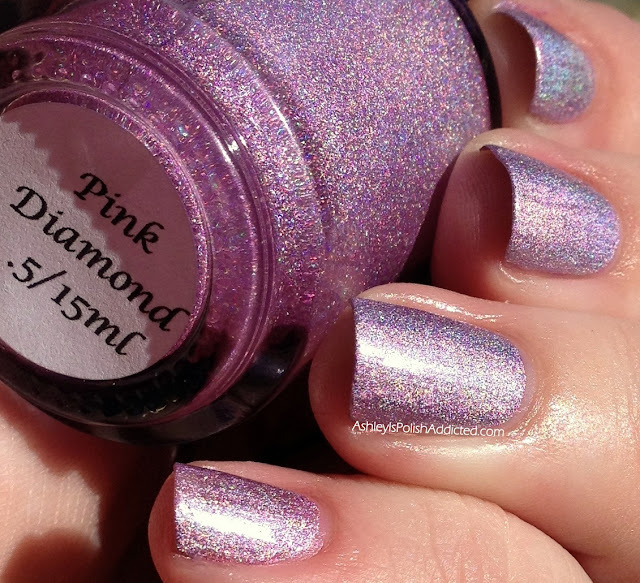 Pink Diamond is a light pink/purple shade - think pink-toned lilac. Two coats for the photos. This one (as well as the other pink, Rose Diamond) uses an intense pink pigment that does have the potential to stain. Two coats of base coat are recommended by Carrie, the woman behind Darling Diva. 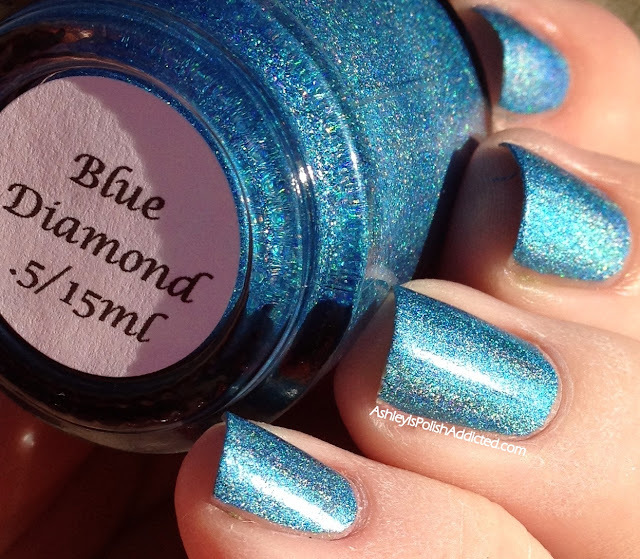 Blue Diamond is a cerulean shade of blue. This one reminds me of the ocean reflecting a rainbow - so beautiful. One coat for the photos. Rose Diamond is a deep berry shade and another favorite of mine. Two coats for the photos. Black Diamond is a charcoal colored linear holo and takes my number one spot from this collection. I just love the base color so much and how all of the colors of the rainbow still shine through. One coat. So what do you think? I love each and every one of them. And the formula on all of them is just so wonderful. 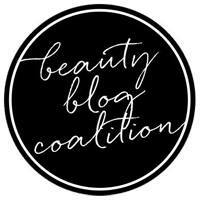 This collection launched this week and is currently available at the Darling Diva Big Cartel Store. If you need to purchase them from the Etsy Shop she asks that you please send her a message! 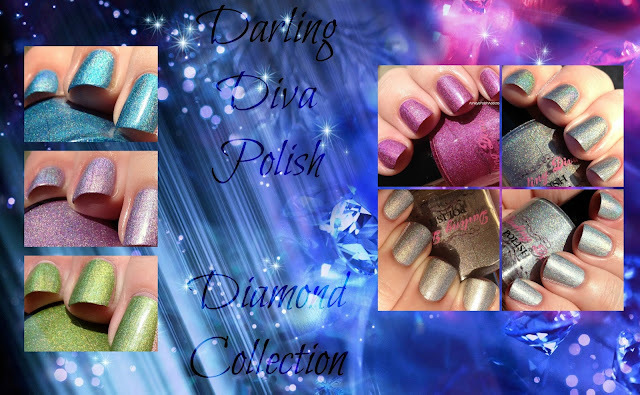 Make sure to like Darling Diva on Facebook and follow on Instagram to stay up-to-date and see even more swatches! Stunning! 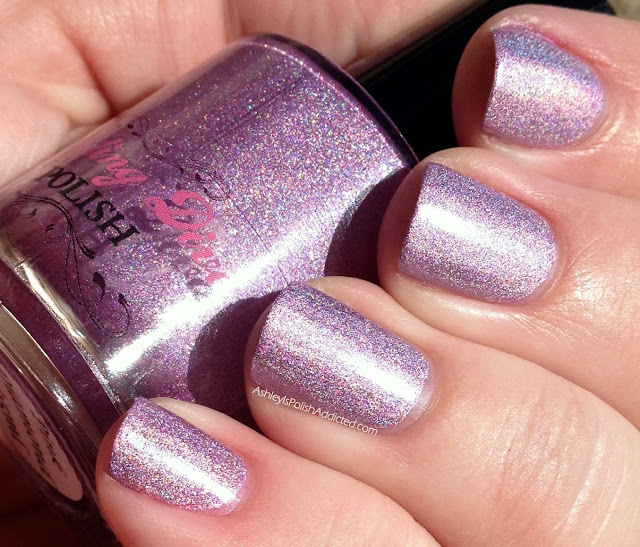 Beautiful swatches for beautiful polish!